Happy Easter! It is spring break for our daughter this week. We are keeping it simple and just trying to kick back and enjoy the warmer days. We've got a few easy family favorite recipes in the mix this week. If you are following along this week, all you have to do is click on the recipe title and it will take you right to the recipe. 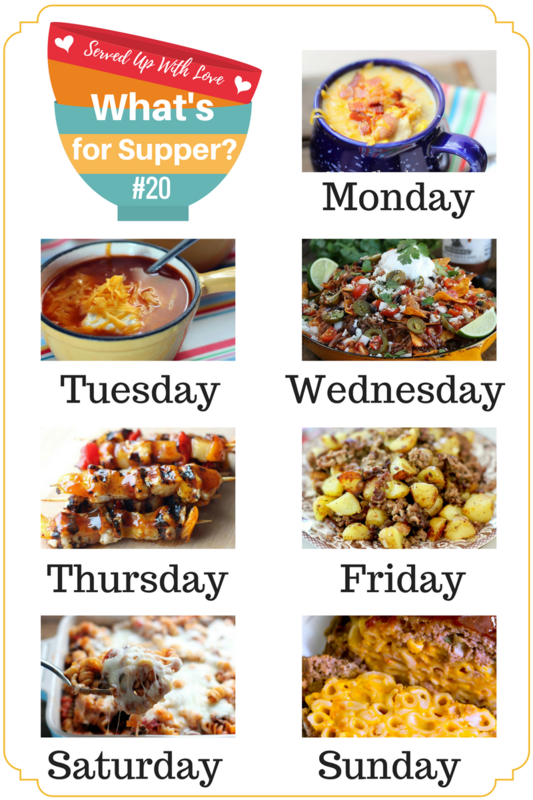 If you are looking for a little more inspiration, check out last weeks What's for Supper Sunday.